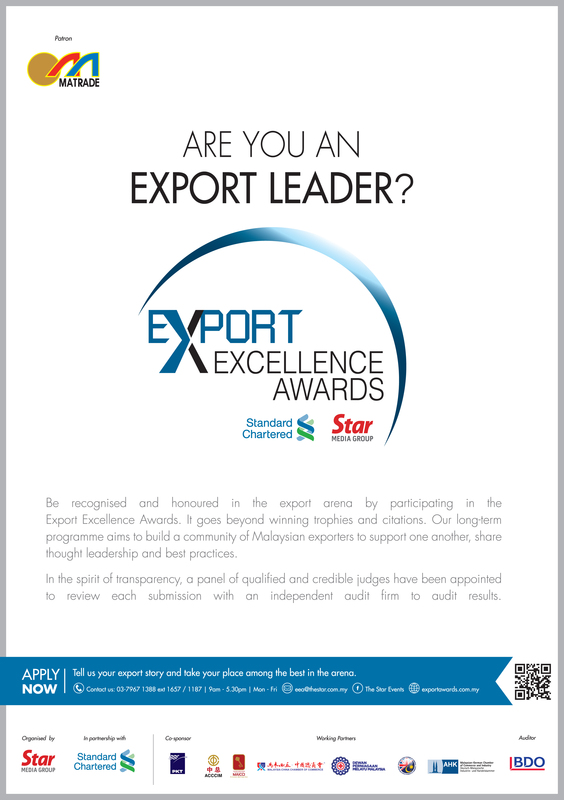 Star Media Group Berhad in partnership with Standard Chartered, has long been championing the growth and development of the country’s businesses. We hope to fully honour and give prominence to these companies who have developed their businesses through the exporting of Malaysian made products and services. 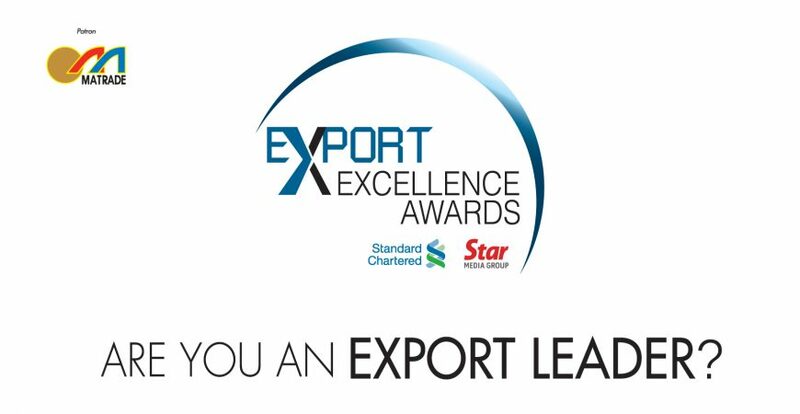 In paying homage to these business, The inaugural Export Excellence Awards seeks to honour the outstanding achievements of export businesses as well as their leaders who have contributed greatly to help this nation grow. The Awards strive to recognise, honour and reward outstanding companies in the fields of Electrical & Electronic, Oil & Gas, Chemical, Mineral & Alloy, Commodities, Machinery, Equipment & Automation, Services and more.